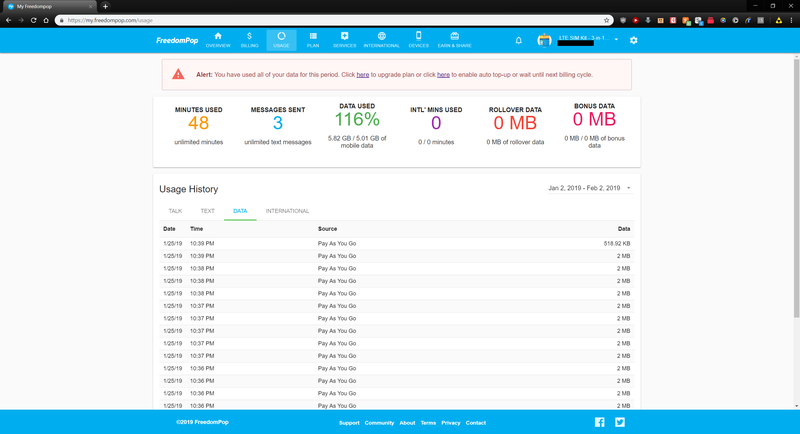 The Freedompop messaging app is excessively using background data for no reason. I was shocked to see that all of my data was used up today. I have included screenshots showing the ridiculous usage. 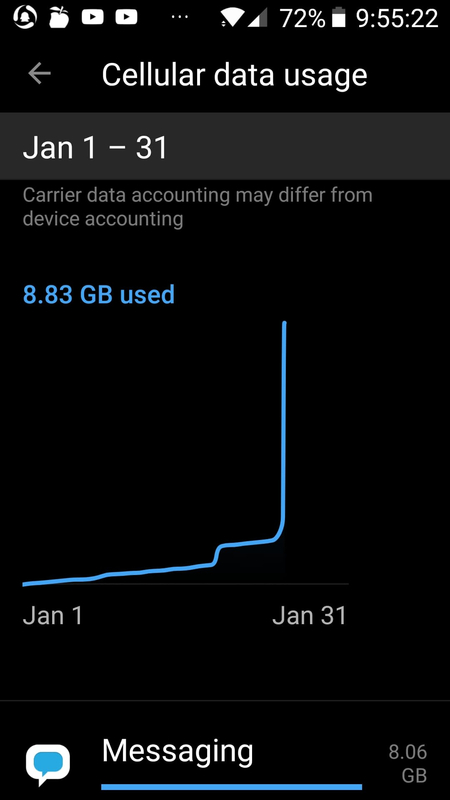 As you can see from the screenshots, the data usage graph shows a vertical line shooting straight up today. 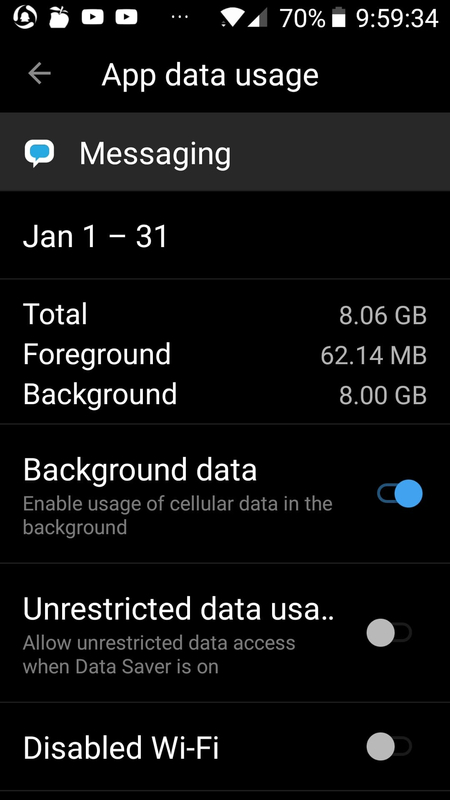 The other screenshot shows that almost all data usage from the app in the past month is background data. I only used 62mb of foreground data. This is not the first time that I noticed the app is randomly using a lot of background data. Why is this happening? What solutions are there to fix it? I still have 8 days left in the billing cycle, so it's going to be difficult to get by when I can't even make or receive calls and texts. Our team is more than willing to help you resolve this issue. Please confirm if the email address in your profile is the same as the one associated to the account where this usage took place. Be sure to include the last four digits of the device's phone number sow e can better find it. CarlosG Yes the email on this profile is the same as my account. The last 4 digits of the number is 0308. After checking your account we confirmed that there has been an excess use of data of 5.82 GB although the image you sent shows usage of 8.83 GB. Please log into your account through a web browser like Chrome or Firefox and click on the Usage section of your account in order to take a screenshot of the data used this month so we can take a closer look at it. CarlosG Even after reaching the 5GB monthly limit, it continued to drain data as "Pay As You Go". It used 5.82GB out of 5GB monthly. We understand. Your case has been escalated to our support team who will be looking into it throughout the day and once they get back to us we'll let you know what their response is.